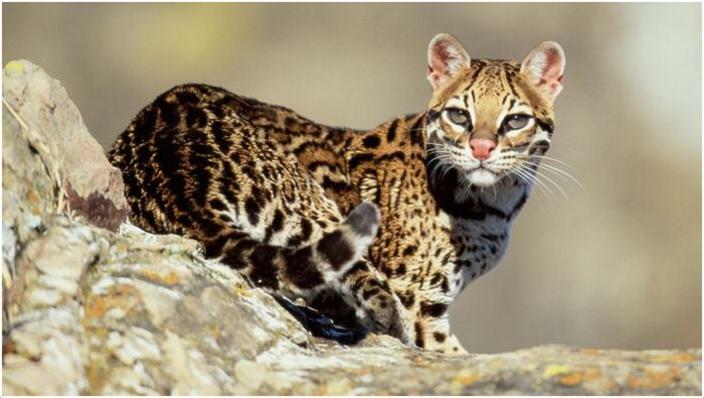 Ocelots are medium-sized cats native to the forests of South America. 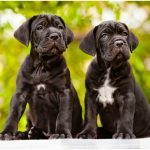 They have distinctive markings on their furs with stripes, spots and dark rosettes. Hence, they are also called Painted Leopard/Dwarf Leopard. 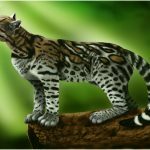 They resemble Margay in size and colouration. They nearly went extinct in the 20th century. 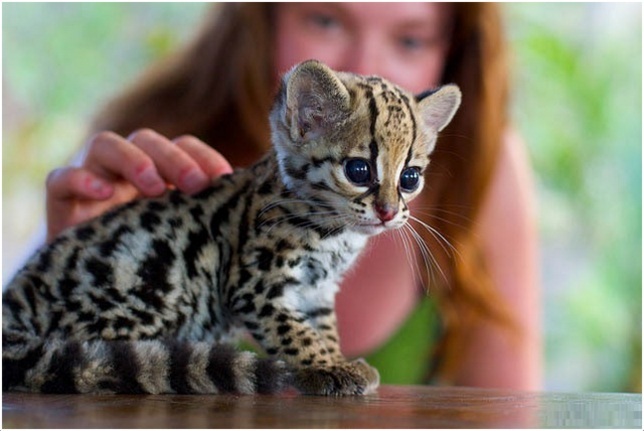 Ocelots are hunted for their furs. They are agile and strong cats expert in running, climbing and swimming. They are not afraid to swim in water like the other species of cat family. 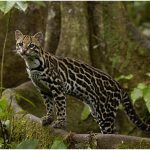 Ocelots are twice the size of a domestic cat and measure 28 to 35 inches long. They weigh between 24 and 35 pounds. 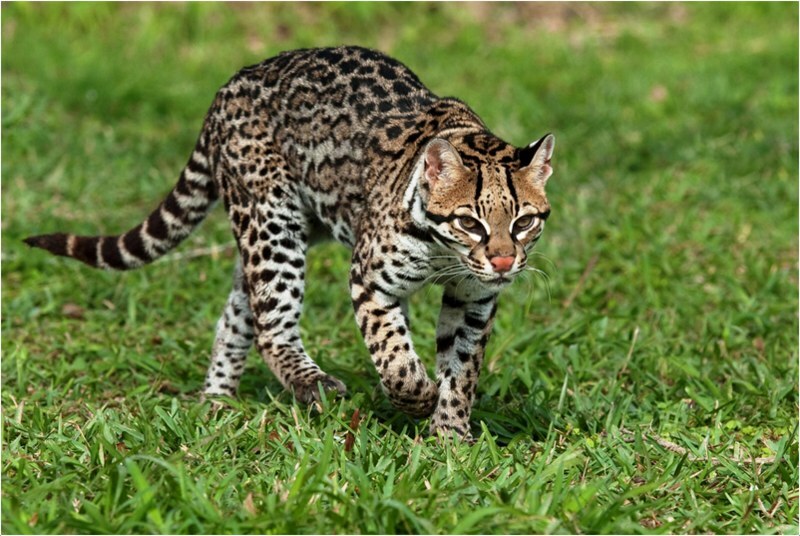 Male ocelots are bigger in size than the females. 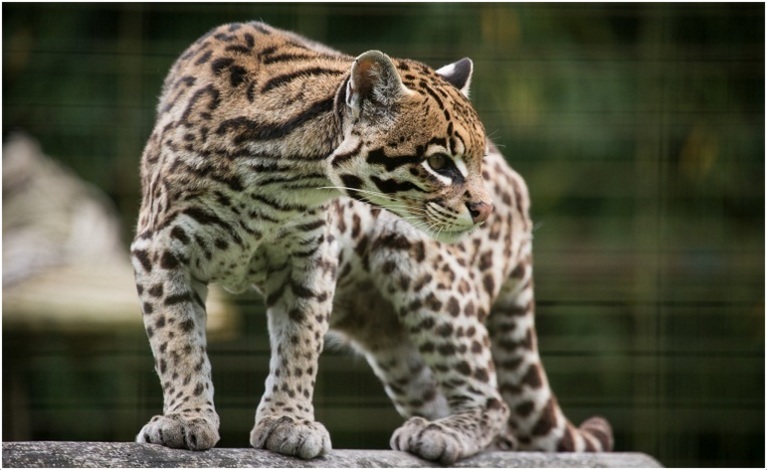 The tails of ocelots measure half the size of their bodies in length. 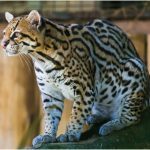 People hunt ocelots because they have beautiful fur, which is in yellow, tawny or greyish brown colour, and covered with stripes and black rosettes. They have pointed and blade-like teeth that are used for biting food. But they don’t have teeth for chewing food, hence they swallow it. They also have a raspy tongue that removes meat from bones. 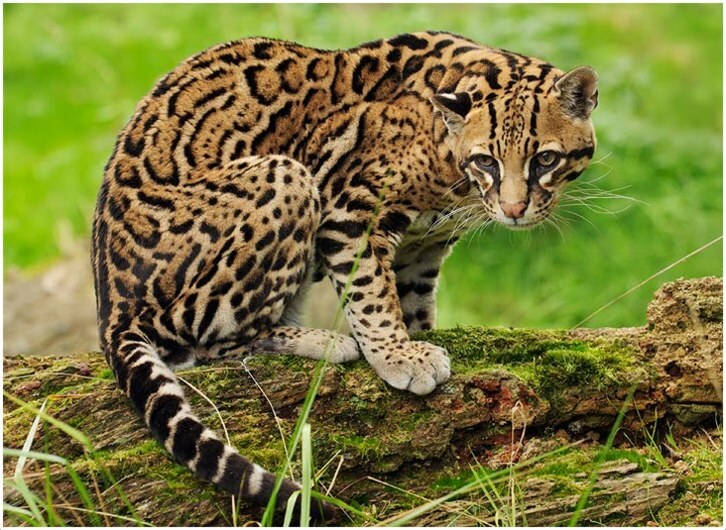 Ocelots are carnivorous animals and eat monkeys, rodents, rabbits, tortoises, fish, lizards, snakes and birds. 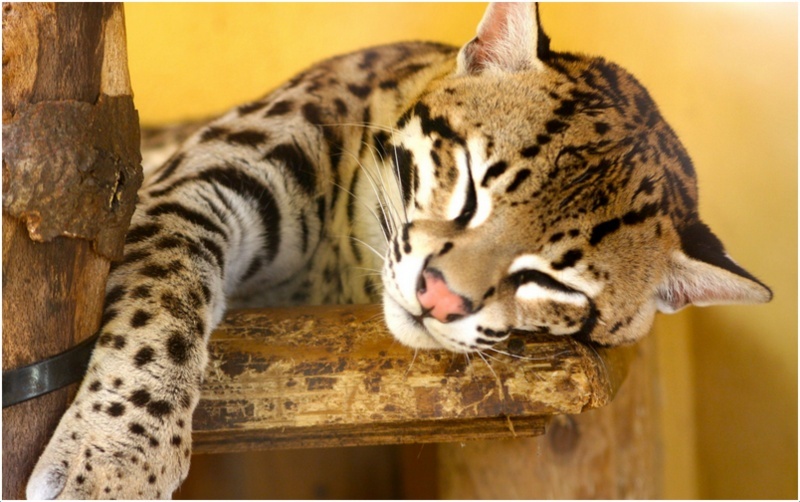 Ocelots have excellent vision at night and have a great hearing sense as well that helps them detect their preys. They are nocturnal animals, so they are active throughout the night. They rest in the branches of trees during the day in dense forest. 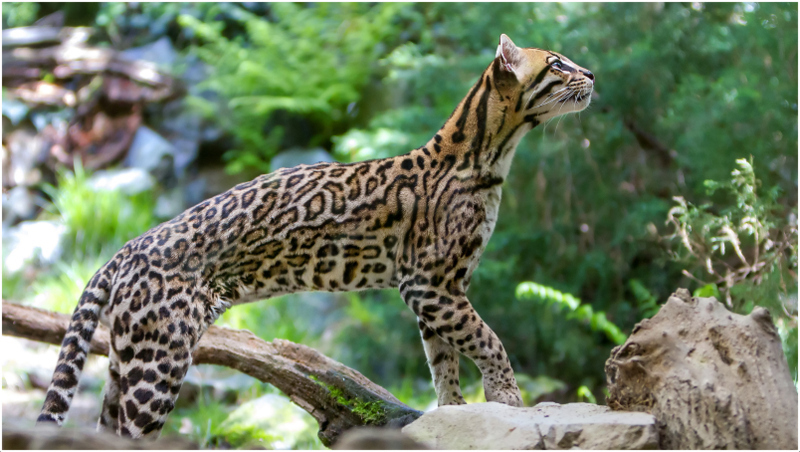 Larger cats, like pumas and jaguars prey on ocelots, as they are smaller in size. They are also hunted by eagles and large snakes, like anaconda. Ocelots are great swimmers and are not afraid of the water unlike the other species of cats. 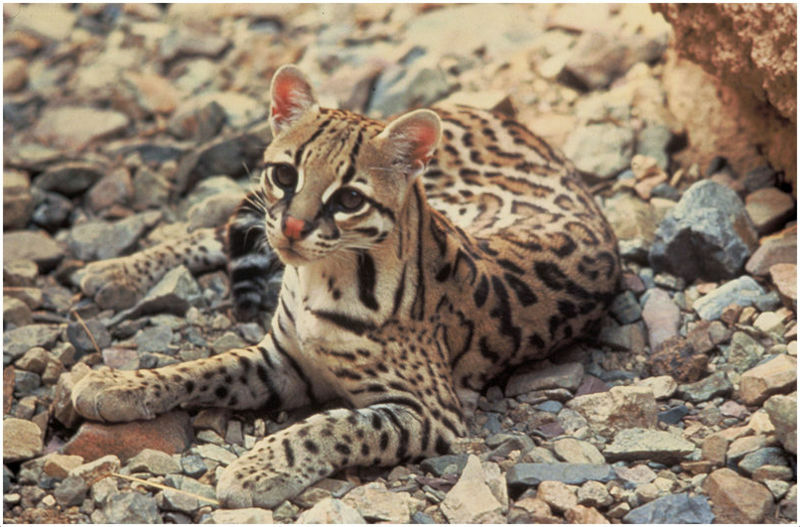 Ocelots often live in solitary within a territory. Male ocelots live in a territory of 30 square metres area. This is double the size of that occupied by the females. 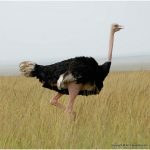 They stay active for about 12 hours a day and spend most of their time in travelling for up to 7 miles in search of food. Ocelots are carnivorous animals that search for food at night. Majority parts of their diet include small animals, like rodents. They also prey on rabbits, crabs, fish, birds, snakes and lizards. They also occasionally hunt small deer, monkeys, anteaters, armadillos and turtles. When they don’t find enough food, they also kill domestic birds which have known to cause problems. They form an essential part of their ecosystem, as they prey upon different types of animals. They are also well capable of adapting themselves to their surroundings. They are found below 1200 meters of the sea level and even at heights of 3800 meters, inhabiting the slopes of Andes Mountains. They can be found in forests that are flooded seasonally, as they can swim well. They are also found in close to urban areas where humans live. 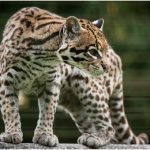 Ocelots are known to live in solitary and they often occupy an area with a range of up to 30 square kilometres. 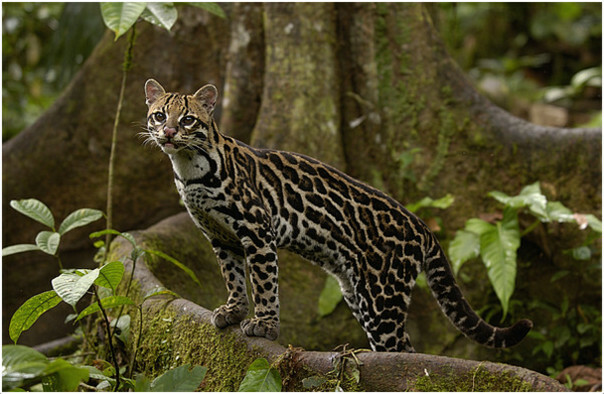 The territories of male ocelots are often double the size of the territories of female ocelots. They are nocturnal and during the day, they spend time sleeping on high branches of trees. They are known for having excellent visions, and sense of touch and hearing, which help them at night while hunting. They also communicate with other ocelots using soft sounds. When looking for mates, they produce a loud, yowling noise. 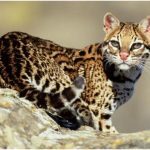 Ocelots breed at all times of the year in tropical regions. But those living in the northern and southern ends breed during the end of summer. 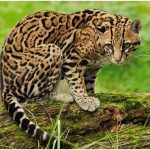 Female ocelots live in a nest or a hollow tree in a dense and thorny environment after mating in order to protect themselves as they prepare to give birth to the young ones. 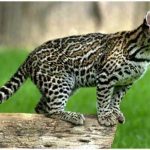 The gestation period of a female ocelot is up to 85 days and it gives birth to 2 to 3 kittens at once. 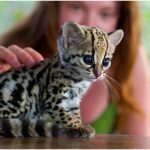 Young ocelots are blind when they are born and have a thin coat of dark-coloured fur. They are able to see the surrounding and get much thicker and colourful fur coat after one month. 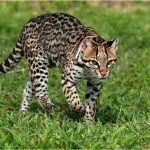 After reaching one year of age, an ocelot becomes a fully grown animal and can lead an independent life. 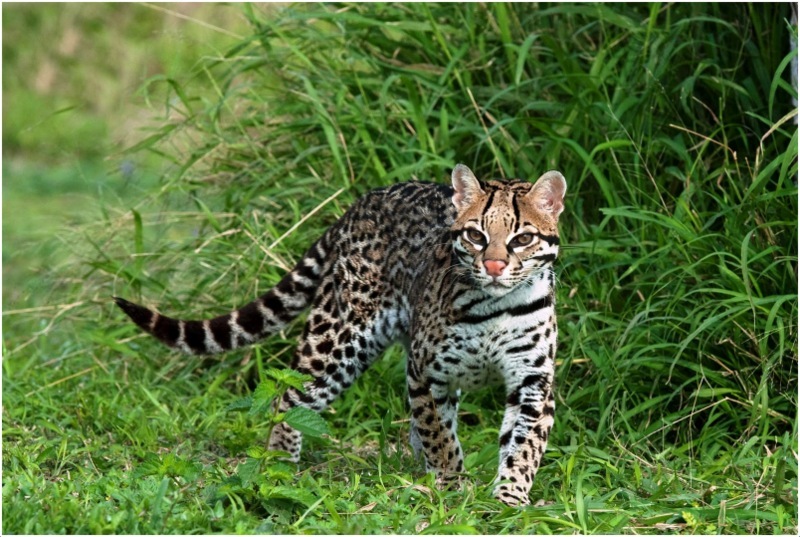 Ocelots are hunted by a number of carnivores larger than them. 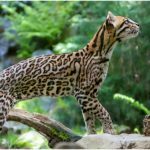 Small-sized ocelots are preyed by other bigger cats, like pumas and jaguars, large birds, like eagles and big snakes, like anaconda. They have a distinctive and unique-looking fur that protects them from the animals that prey on them. They used to be hunted by humans for their beautiful fur during the 1960s to 1980s, which made this species to become nearly extinct. 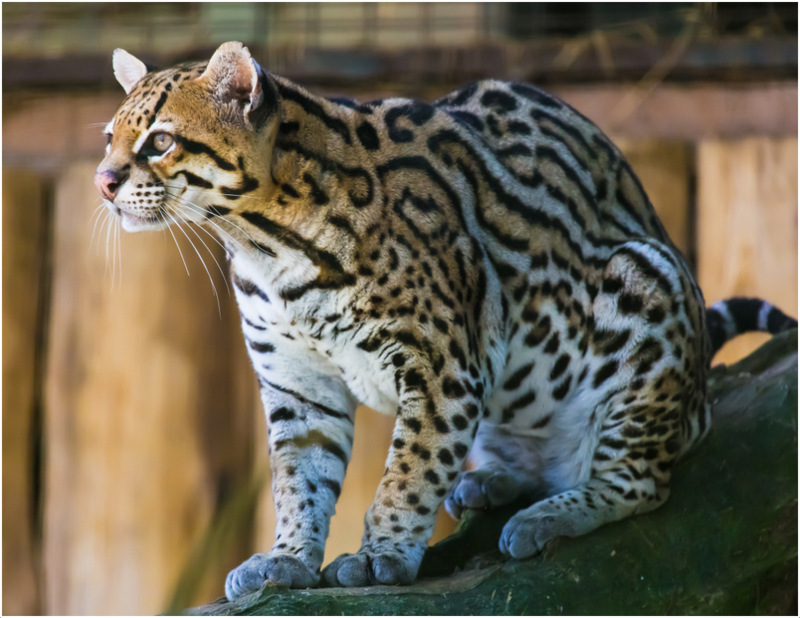 Today ocelots are endangered due to the deforestation of their habitats. They appear to have unique type of fur that is thick, short and velvety with a reddish grey or tawny yellow colour. Their fur also has chain-like marks with black rosettes on the sides and back. 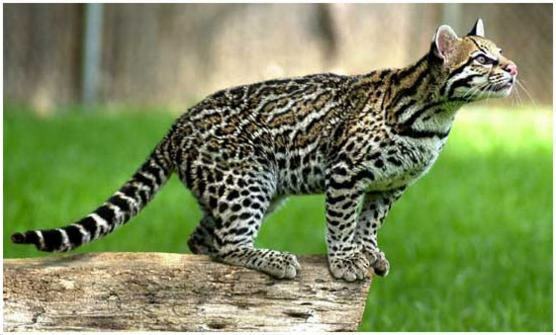 Ocelots have legs that have dark spots and a striped face and head, which varies with each ocelot. 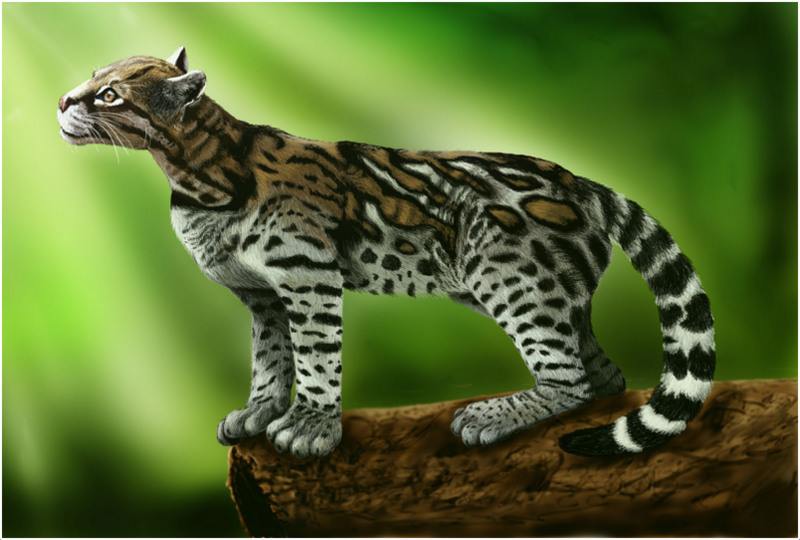 Their tails are long and marked with dark rings as well as large paws that are half the size of their body. Ocelots are capable of retracting their claws into pockets for protection, like the other feline species. Male ocelots are larger than the females and they measure about one meter in length. Their front teeth are sharp and pointed, and they use them to bite on food. 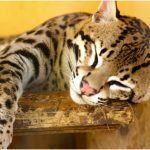 Ocelots can live for up to 20 years in captivity, whereas they live for 7 to 10 years in the wild. 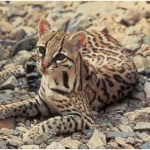 Ocelots have marks on their fur, which look attractive and unique. 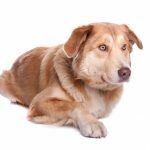 Their fur is cream coloured with brown marks and black outlines. 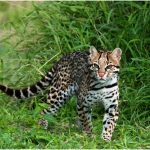 It also varies from rosettes to stripes or irregular spots in some ocelots. Ocelots have a slender body and their underside is pale coloured. Their body measures from 50 to 100 cm in length, 11.5 to 16kg in weight and the length of their tails measure from 30 to 45cm. They are very active at night and sleep throughout the day on tree branches. They are also excellent swimmers.